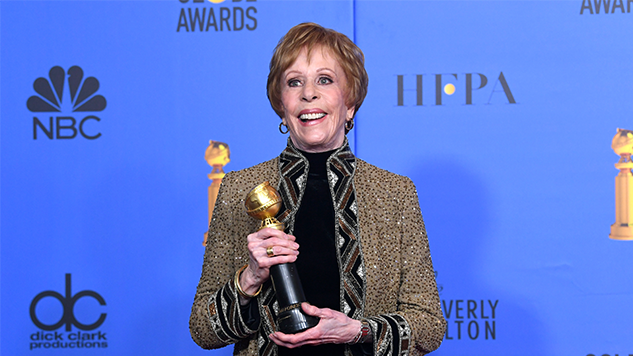 We’re always happy to have more Carol Burnett in our lives. She’s a formidably funny figure in the entertainment world, even having a Golden Globe TV Award named for her this last year. Now, the best-selling author’s work is coming to the big screen. The comedy legend’s 2014 memoir Carrie and Me: A Mother-Daughter Love Story is being adapted into a film at Focus Features, THR reports. Throughout the book, Burnett reflects on her life as a performer and working mother, especially exploring her relationship with her eldest daughter Carrie Hamilton. Hamilton died of pneumonia in 2002 at only 38 years old. The project already has a screenplay, penned by brothers Ian and Eshom Nelms. The Nelms previously adapted the memoir Waffle Street for the big screen and also wrote Small Town Crime together. While there is no director or cast for the film so far, the producers include Tina Fey and Eric Gurian under their Little Stranger production banner, Steven Rogers (producer for I, Tonya) and Burnett through Mabel Cat Productions. Fey’s husband Jeff Richmond is executive producing, as well. Read Paste’s review of Carrie and Me: A Mother-Daughter Love Story here.